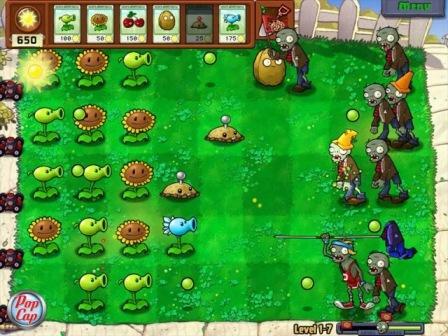 The leading multi-platform provider of “casual games”, a generic term for fun, easy-to-learn, irresistible computer games, PopCap Games has debuted its new humorous action-strategy game that appeal to everyone from age 6 to 106 – Plants vs. Zombies, compatible with both PC and Mac. The new Plants vs. Zombies game for PC and Mac is now available for download online through PopCap, RealArcade, MSN Games, STEAM, Wild Games and Yahoo! Games for about $20.